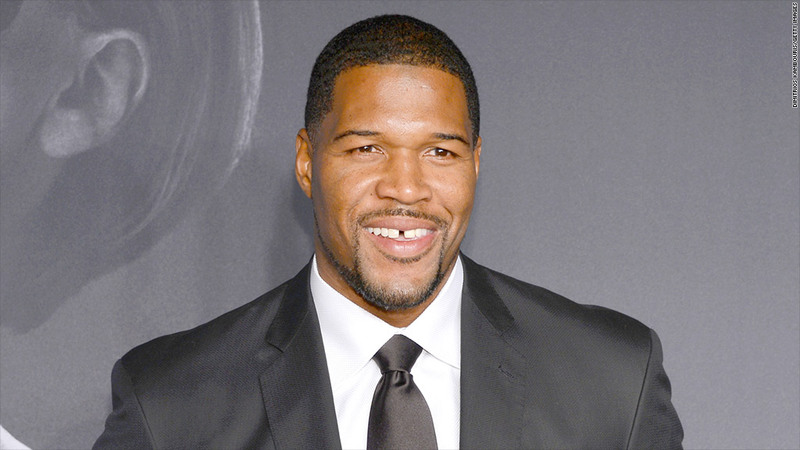 Former NFL star Michael Strahan is already half of "Live with Kelly and Michael," which airs right after "Good Morning America." Instead, he'll be an addition to the top-rated show, popping up in various segments starting at 7 a.m. before shuttling one mile north to the talk show he already co-hosts at 9 a.m. with Kelly Ripa, "Live with Kelly and Michael." The ABC News executives who oversee "GMA" have been holding talks with Strahan for months. On Wednesday's "Live," Strahan said he was surprised by the leak, but confirmed that talks have taken place. He reassured viewers that "I'm not going anywhere. I'm right here on 'Live,' okay?" Ripa quipped, "We just want to know how many cups of coffee we need to have ready by the time you get here." Strahan also said he and ABC would have to "be smart about it," adding, "I don't think I could do an everyday thing." The people with knowledge of the talks had said that he would join "GMA" most days, but not five days a week. Assuming the deal is announced, Strahan will inject some metaphoric testosterone into "GMA," which now has one man at the anchor desk, George Stephanopoulos, and four women. Earlier this week "GMA" abruptly bid adieu to the show's news anchor, Josh Elliott, who is joining ABC's arch-rival NBC, initially as a host and contributor at NBC Sports. That network has scheduled a press announcement, presumably about Elliott, for Wednesday afternoon. The other man previously on "GMA," Sam Champion, exited last winter and now hosts a three-hour morning program on The Weather Channel. By adding Strahan, even in a part-time role, "GMA" will regain some of what it is perceived to have lost. Elliott and Strahan both have athletic backgrounds and wide appeal among the women who make up the key demographic for network morning shows. Ben Sherwood, the president of ABC News, hinted that he would add another person to "GMA" when he announced Elliott's departure and his replacement in the news anchor role, Amy Robach. "In the days ahead, there will be more good news on the show, so stay tuned," Sherwood wrote. The arrangement will also bring two Disney-owned properties, "GMA" and "Live with Kelly and Michael," closer together. "Live" is produced by ABC's local station in New York and syndicated by Disney's domestic distribution unit. An ABC News spokesman declined to comment.